A common habit I’ve noticed in most new photographers is their reluctance to get out of the Auto mode. Many people assume that the camera knows exactly what settings it needs for each situation. And while modern day cameras are extremely tech-savvy and are capable of adjusting to their surroundings, the control getting off Auto mode gives you is incomparable once you know what you’re doing. Luckily for you, here’s a guide to getting off the Auto mode and exploring the world of Shutter or Aperture Priority modes. Shutter priority – Switching to this mode will allow you to control two out of the three exposure settings, namely shutter speed and ISO. The camera will automatically handle the aperture settings to give you a more balanced image. Aperture Priority – Like Shutter Priority mode, Aperture priority also gives you control over two out of three exposure settings, but this time they are aperture and ISO. The camera handles the shutter speed on its own in this case. 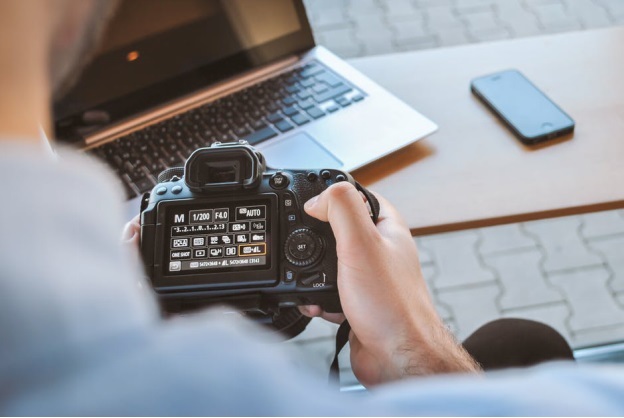 Manual – Allowing you the most control over your camera, the Manual mode gives you complete control over all three exposure settings, ISO, aperture and shutter speed. This may be a little daunting for new photographers, so you may want to try getting the hang of the other two modes before moving to this one. When you want to control the depth of field of your photos and you know the Auto mode will not give you the result you are looking for, you may want to try switching to the Aperture Priority mode. Controlling how much light goes into your lens can change the result of your picture by massive amounts. You may want to use this mode during landscape photography for deep depth of fields, or if you want a very shallow depth of field for a portrait. Shutter speed control is usually needed when photographing objects that are fast moving, such as wildlife, or sports photography. A slower shutter speed could cause you to lose the shot you wanted because the camera clicked too late. On the other hand, the Shutter Priority mode is also used when trying to capture motion blur, or when taking shots of running water, for example. When you’ve finally gotten the hang of both the Shutter and Aperture Priority modes, the Manual mode should come easy as a breeze to you. It will give you total control over all three exposure settings, and you can choose the best combination to suit the needs of the hour. You may want to use the Manual mode when using a tripod to let in more light, in low lighting settings — such as night time photography — or when working with tricky indoor lighting. Once you’ve mastered the Manual mode, you’re well on your way to knowing everything you can achieve with your camera. The author of this blog post is a photography enthusiast with more than 5 years of experience in the industry. He strives to help people improve their photography skills by writing informative pieces at IYPO – an online platform for budding photographers to learn photography online for free.